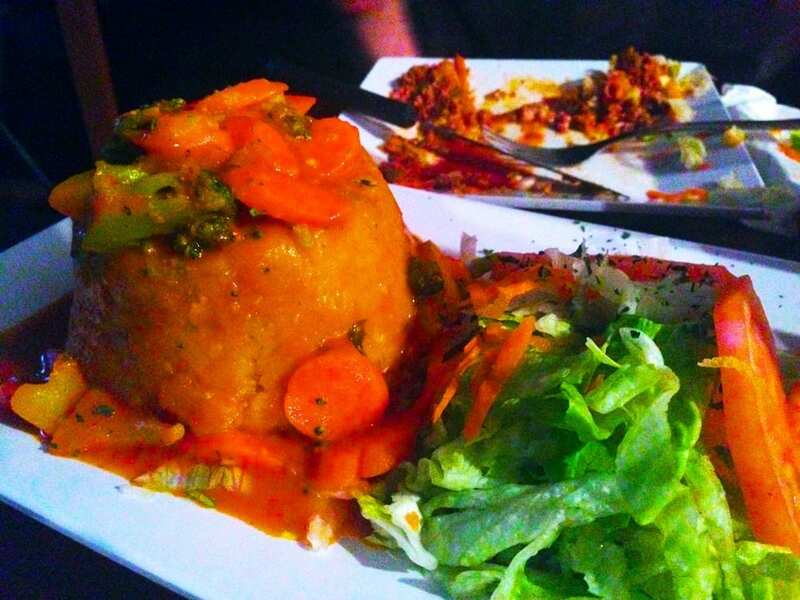 Do you want to mofongo? Lets dive into a very popular dish we heard we just have to try here in San Juan, Puerto Rico. First bite it became one of our favorite dishes from the trip. Its a giant tower of deep fried plantain mashed together and stuffed with nomnom goodies. Cooked in a yummy BBQ like spicy broth. Got to include it in every spoonful. 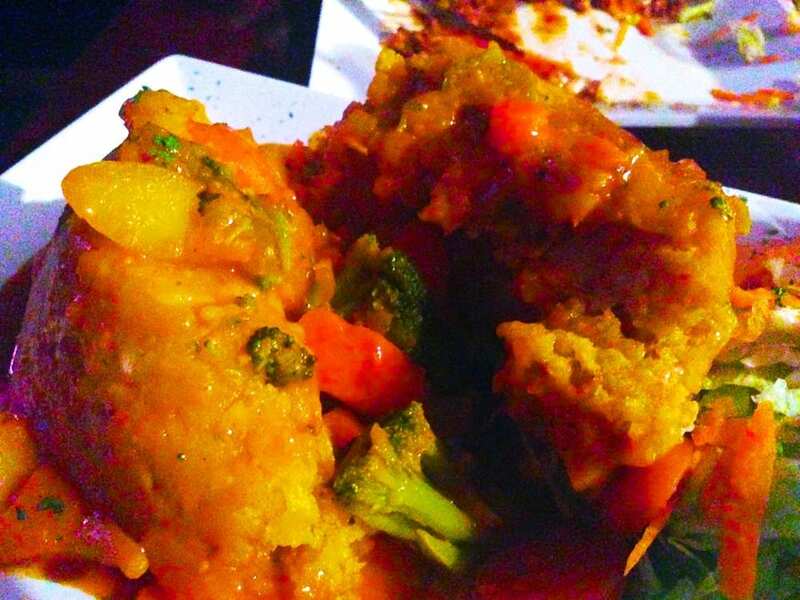 The Bacalao is a vegetable version stuffed with broccoli, carrots and more. Very dense and heavy dish, yet very soft texture. Different flavors just explode in your mouth. Way too much food for one person and might be too much for two to share. There are many different version you can try like stuffed with chicken, pork and fish. 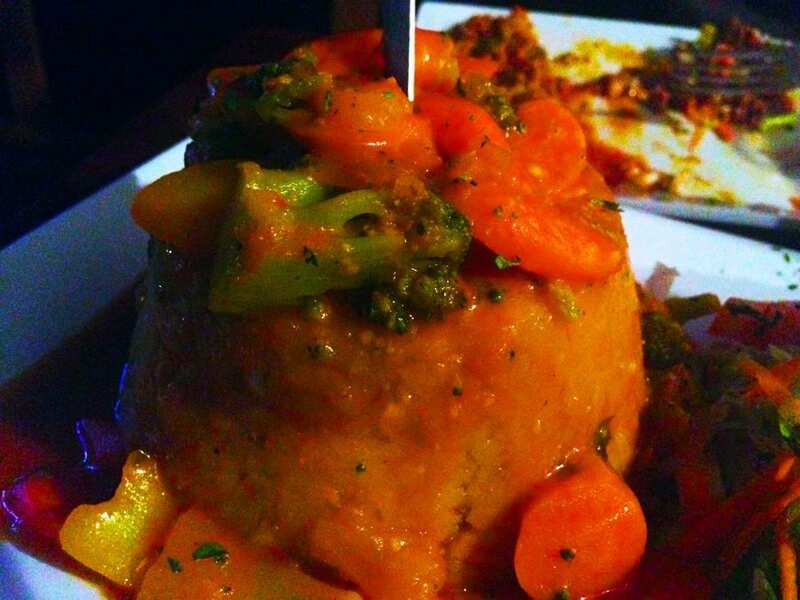 This dish is so popular you might even see tshirt around San Juan with “Got Mofongo?”. Must try!